The world of Blood Like Wine by Marc De Santis is one of ancient mystery, great beauty, and desperate valor. Danthesia is the most powerful kingdom in the “East,” which is the common way of expressing what most inhabitants consider to be the known world. It possesses the largest and best army, and with it has created a far-flung empire that now covers almost the entire East, which the Danthesians call their Dominion. But Danthesia, though a kingdom, has no king. Instead, it is a republic that has for political reasons retained the fiction of being a kingdom, and its true head of state is therefore titled Speaker for the King. Unfortunately, Danthesia is riven by factions, the primary ones being that of the nobles, who are conservative, wealthy beyond measure, and decadent, and a populist party clustered around Marshal of the Dominion Sciliren Troponus, Danthesia’s foremost general. Marshal Troponus currently commands an army which has just recently defeated the southern kingdom of Tuelonia in battle, and he has incorporated that vanquished land as a new province of the Dominion. Troponus has many enemies among the nobility, and they conspire to strip him of his command of his army in the south. They believe that he is waging war without the authority of the Senate, which is the ruling body of Danthesia. The stage is set for an eruption of civil strife as the Senate attempts to reign in what it sees as a wayward general, while Troponus takes without hesitation the actions that he deems necessary to protect the Danthesia that he loves. Caught in the machinations of the Marshal is Captain Numerian Cethegus, brave and loyal, who has deep misgivings about his commander’s course of action. But Numerian, against his better judgment, follows Troponus in the hope of marrying the Marshal’s daughter. 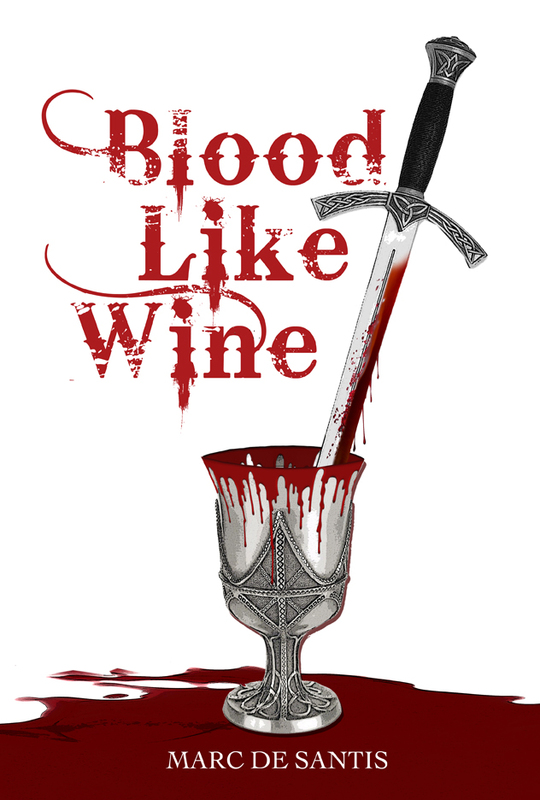 Blood Like Wine is available for the Amazon Kindle and the Nook, iPad, and other platforms.